Capt. Mike Littlefield of Archangel Charters, Portsmouth, with a 15 pound tautog he caught off Jamestown, RI using a tautog jig and green crabs. The tautog bite was on in 2018. This 24.5 inch black sea bass was caught off Newport using a pink buck tail on a three-way swivel. 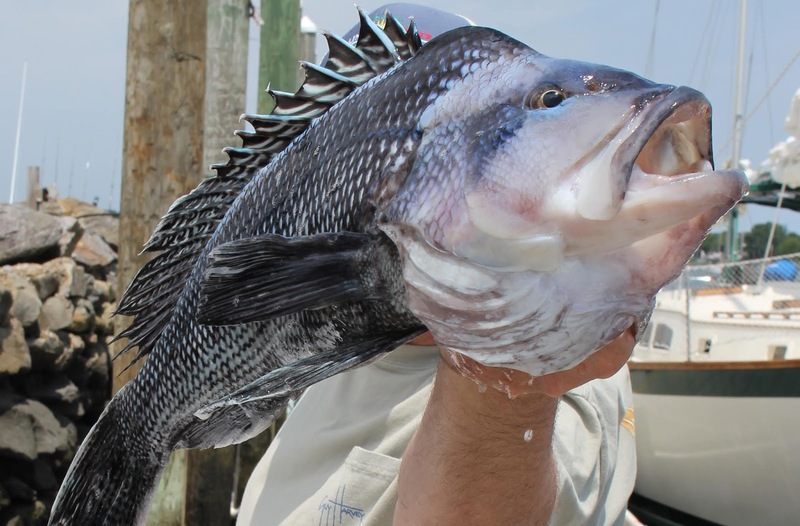 The black sea bass are expected to be plentiful (and large) in 2019 in Buzzards Bay and off RI. 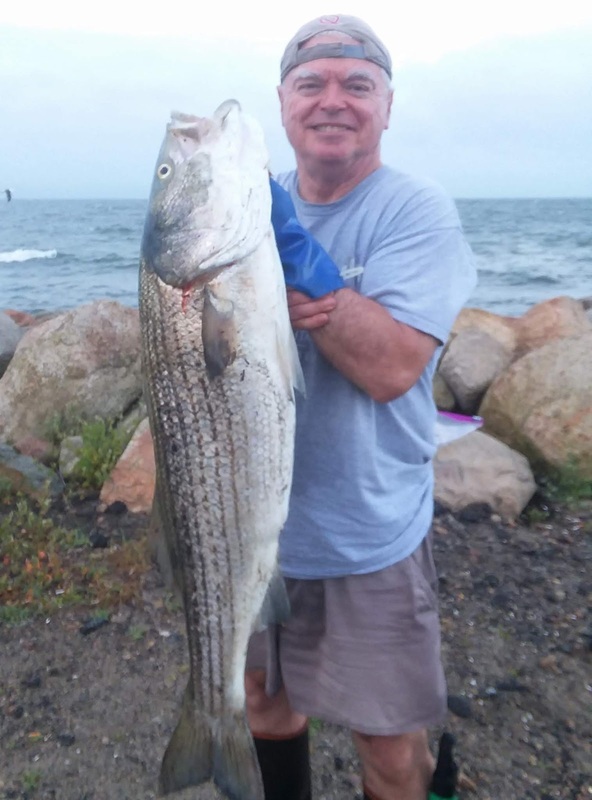 Ed Doherty of Mattapoisett (East End Eddie) with a 27 pound striped bass he caught on the Cape Cod Canal. Fishing was good in July of 2018 with Doherty catching a 25, 27 and 31 pound fish on consecutive days. Lucy Churchill and fiancé Chris Monti of Providence with the 24” summer flounder she caught at Austin Hollow, Jamestown in August. 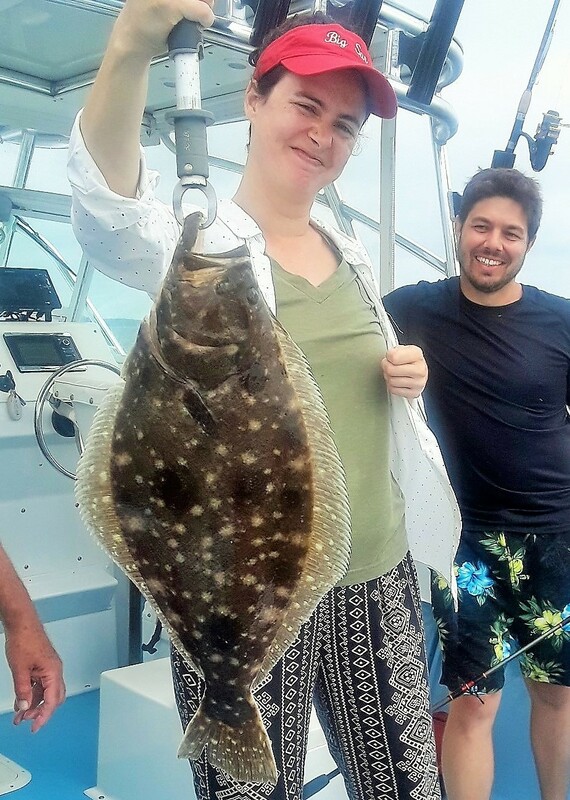 Fluke fishing was difficult in 2018 but some large fish were caught in lower Narragansett Bay. If you worked hard, you caught fish in 2018. Maybe not what you wanted to catch, but there were fish to catch. The school striped bass fishing was awesome with a number of large fish taken at the Cape Cod Canal, at the Southwest Ledge Block Island, and with shore anglers catching keepers in the 30” range mixed in with all those smaller bass. However, the bass bite compared to recent years was way off the mark for most shore, Bay and ocean anglers. 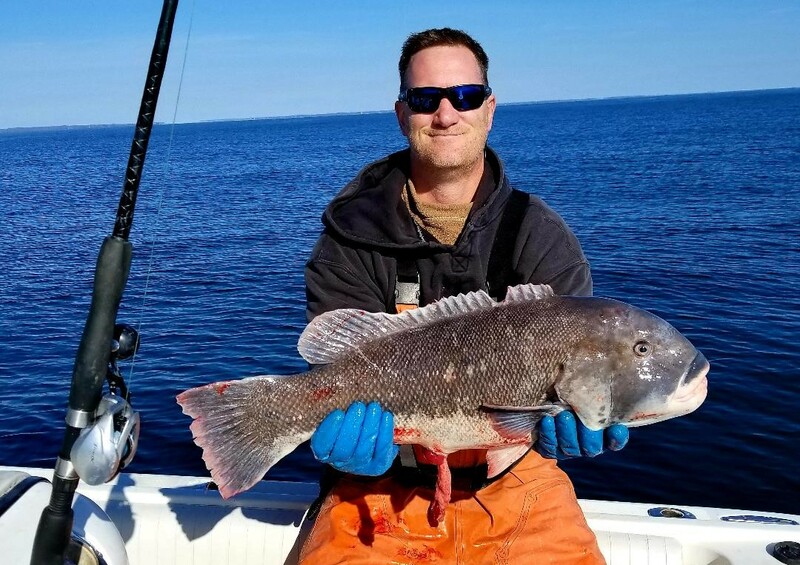 The tautog season was great with anglers catching their limit and a number of larger fish, many over 15 pounds, being caught throughout the fall season. And, once again this year we filled out our fishing with large scup, a great black sea bass bite (particularly in spring at Buzzards Bay, off Newport and Block Island) and sea robins (which more and more anglers are keeping, cleaning and eating). Other species such as summer flounder (fluke) fishing, large striped bass fishing in general, the false albacore run in the fall were not as robust as we would have liked to see. Offshore we fell short on the bluefin and yellowfin tuna bite but had an abundance of sharks offshore. Striped bass. Even though a new striped bass stock assessment is done data from it will not be used for management decisions until 2020. So for 2019 striped bass regulations are expected to be the same as this year… one fish 28” or larger/person/day. 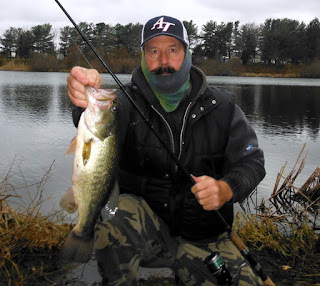 The striped bass fishing for keeper sized bass will hopefully improve in 2019 with some of the small school size fish we have been catching in abundance maturing to keeper sized fish. However, the stock assessment, is not good. With the biological reference points we now have, specifically the Spawning Stock Biomass (SSB), the amount of spawning fish needed in the water to insure sustainable stock levels, is showing that striped bass are overfished and overfishing is occurring. However some fish mangers and policy makers, being pressured to keep people fishing for striped bass, are thinking about lowering the amount of spawning stock biomass needed in the water to insure a sustainable fishing. This is troubling and equated by many to lowering the basketball rim to eight feet because at ten feet it is too hard to get a basket. Data presented to anglers at a December 19, 2018 Rhode Island DEM public workshop on striped bass clearly shows show fewer and fewer keeper striped bass have been caught in Rhode Island and Massachusetts over the past four years. Lowering our SSB goal to take more fish is being frowned upon by most conservation minded anglers. Additionally, the Marine Recreational Information Program (MRIP), the way fish mangers measure recreational fishing harvest, has recalibrated its data due to enhanced data collection strategies. The new recalibrated data shows that over the years, anglers have been catching more fish than originally thought. In the case of striped bass, the data is showing anglers have been catching more than twice the amount of striped bass than originally thought. So next year we will be status quo on striped bass, and the prediction is that the striped bass fishing for smaller fish will be good, but the bite for the 30, 40 and 50 pound fish will continue to decline in 2019. How fish mangers decide to use new stock assessment data will be determined at the February, 2019 Atlantic States Marine Fisheries Commission meeting. We may have an indication of the 2020 season after that meeting. Summer flounder (fluke) is experiencing overfishing and with a reduced bite this year, the bite is expected to be the same in 2019… spotty. Tautog fishing in Massachusetts and Rhode Island will likely be status quo next year which is a minimum size of 16”. In Rhode Island there is a split season with three fish allowed in early spring, no fishing during the spawning months of June and July. The season opens again in August with three fish and then jumps to five fish/person/day in mid-October. A ten fish boat maximum is still in place for all seasons. Cod and haddock fishing were strong again this week when boats were able to get out. Party boats from Rhode Island sailing for cod this time of year include the Frances Fleet at www.francesfleet.com , the Seven B’s at www.sevenbs.com, and the Island Current at www.islandcurrent.com .